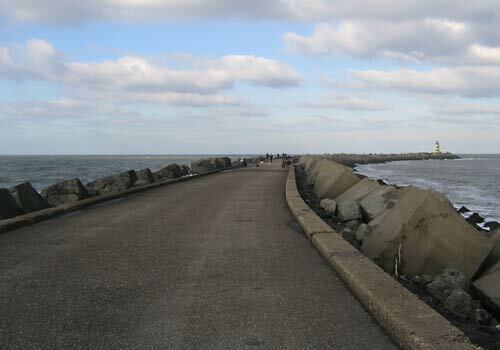 On Saturday we drove to IJmuiden (25 km west of Amsterdam) and walked down the South Pier, which stretches 3 km into the North Sea. 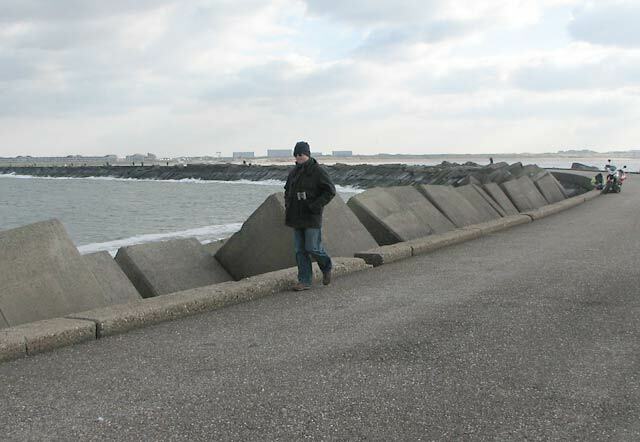 It was very windy and cold, but the pier was filled with dozens of fishers and birders, and we saw some new birds ourselves. 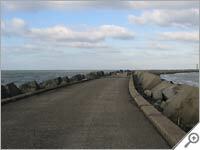 We had only been to IJmuiden twice, in 1999 and 2002 when we took the DFDS Seaways ferry here to Newcastle upon Tyne. 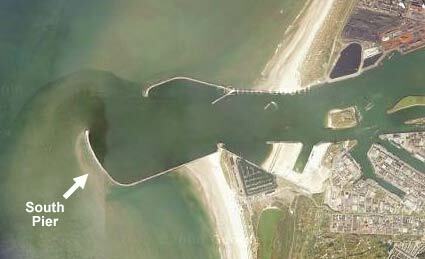 You can see the docks of DFDS on the photo above, and the ferries pass through the two piers on their way to England. 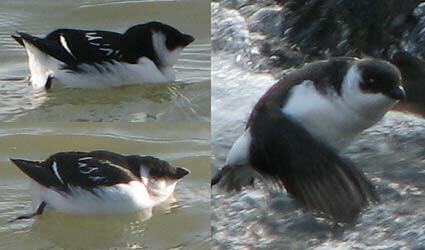 Here are three pictures of the Little Auk (Latin: Alle Alle; Dutch: Kleine Alk). We walked for about two hours from the parking area to the end of the pier. 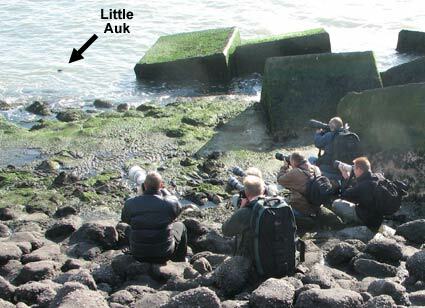 Besides the Little Auk we also saw many Purple Sandpiper, a Guillemot, which looked very much like Auk but with a longer beak, an Eider, and several Ruddy Turnstone. 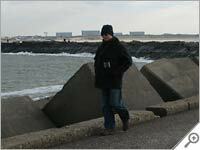 There had also been sightings of seals the days before, but unfortunately we didn’t see any. This entry was posted on Wednesday, November 8th, 2006 at 10:10 pm CET and is filed under Nature	with tags . You can follow any responses to this entry through the RSS 2.0 feed. You can leave a response, or trackback from your own site.